We all like a laugh from time to time, which is why one of British television’s great gifts has been the sitcom. But they are truly difficult to create, script and cast. 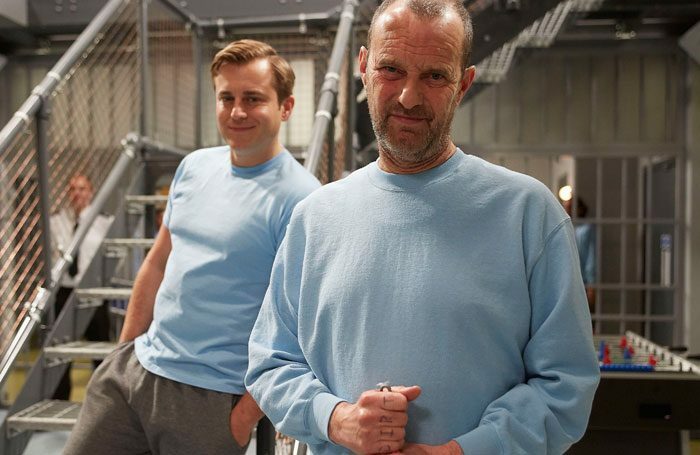 This, in part, explains why Kevin Bishop is starring in a revival of the 1970s hit Porridge. It explains why Open All Hours returned two years ago and why Birds of a Feather was resuscitated by ITV in 2014. Now the BBC has been told by Ofcom, its new regulator, that it is including a condition to safeguard comedy programmes on BBC1 and BBC2 in its new operating agreement from January. Comedy seems to be joining children’s, arts and religion as something to be protected for the public good. Younger people, according to its research on defining distinctiveness, see the BBC as stuck in its ways. Older ones look back fondly to Fawlty Towers and Only Fools and Horses, while 30-somethings miss BBC3 (the broadcast channel) for things such as The Office and the wonderful Gavin and Stacey. You can of course make a different argument. The past few years have seen a wide range of BBC comedy, Peter Kay’s Car Share, Fleabag, People Just Do Nothing, The Detectorists, W1A, and its first transgender comedy Boy Meets Girl. Another experiment was Boomers, about three retired couples in Norfolk, including a stellar cast of older female stars – Alison Steadman, Stephanie Beacham and June Whitfield – with a taste for caravanning. And millions have a fondness for the madhouse of Mrs Brown’s Boys. ITV battles on with comedy drama Benidorm, gave Vicious – a camp comedy starring Ian McKellen and Derek Jacobi – two series, and runs the hilarious Plebs on ITV2, but has largely retreated. Channel 4 keeps on going, has a standout hit with the beautifully scripted Catastrophe, is in production with a second series of Flowers, but has been unable to repeat the huge success of The Inbetweeners. Remember the fuss when it cancelled Raised by Wolves, Caitlin Moran’s semi-autobiographical comedy of life on a Wolverhampton council estate? Well, her attempt to rescue it with crowdfunding failed. The broadcaster has had striking success on E4, whose latest venture GameFace, a self-penned comedy by Roisin Conaty, about life as a chaotic 30-something, is worth catching. The big problem with sitcoms on commercially funded channels is that they are hugely risky, unlikely to recover their costs and are rarely hits from day one. A new comedy needs to be carefully promoted, then launched off the back of successful shows. A first series has to be given the benefit of the doubt and a chance of a second one to see if it will catch fire. You can have a success, but a writer or a star character may move on to other projects. As someone always up for a bit more laughter in my life, I am beginning to think that Ofcom may be on to something. Mark Shenton: How should we address theatre’s sexual harassment problem?